Happy Tuesday crafty friends! 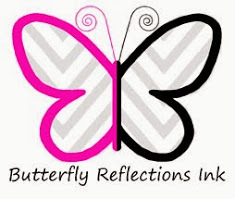 I am up on the Butterfly Reflections Ink Blog today showing you a card perfect for your special someone this Valentine’s Day! I adore these cute Little Bear Agenda stamp from Mama Elephant and knew they would be perfect for this card. To start off my design, I ink blended a panel using Distress Ink Oxides in Spun Sugar, Dried Marigold, Squeezed Lemonade, Mowed Lawn, Tumbled Glass, and Dusty Concord. I ink blended them on a diagonal is a rainbow pattern. I then used the Mama Elephant Circular Grid Die and ran the die and panel through my die cutting machine. I adhered a piece of glitter cardstock to the base of my card and adhered my die cut ink blended panel using foam adhesive on top. I colored 12 bears from the set using various colored copic markers along with the Little Bear Agenda Die. I randomly adhered my little bears in the circles using foam adhesive. For extra detail and dimension, I used Nuvo Crystal Glaze on the hearts. For the sentiments, I used Everyday Sentiment Banners Lawn Cuts ( *Enabler Alert* which by the way is on SALE this week in the shop at an amazing price!! So I suggest you go and grab it before it’s gone!! ) I then used VersaMark Embossing Pad and heat embossed with Lawn Fawn Gold Embossing Powder. Using foam tape, I adhered it to the front of my card. Thank you for stopping by today and I hope you enjoyed this card as much as I do! Have a fabulous week!! Don’t forget to stop by the shop for the HUGE SALE! Over 6,000 items 40% off!! That’s right 6,000 items at 40% off!! That’s amazing!! So now is the time to pick up those items you’ve had your eyes on or for gifts for friends and loved ones!! I love so much this card!!! Absolute beautiful and adorable!!!! Love the rainbow background, looks amazing 🌈!!!! Fabulous, fabulous!!! !